HomeWorkout supplementsWeight LossIs Insanity Pure Cardio The Best Plyometric Cardio Circuit? Cardio workouts can be immensely beneficial for enhancing your cardiovascular health, boosting your overall health and burning additional calories. Of course, there is truly an abundance of cardio workouts and attempting to find the one that will be most effective for you can be much more difficult than you might imagine. In the past few years, more and more individuals have taken up plyometric cardio circuit training. These specific types of exercises are considered to be some of the most effective and least time consuming exercises of all. What are they and is the Insanity Pure Cardio program a reliable regimen? You’ll be able to find out below. What Can Be Achieved With Plyometric Exercises? Plyometric exercises are specific types of workouts, which are capable of enhancing cardio health and making you sweat, while also helping to rapidly develop muscles and strength. These activities typically involve extending the muscle for a period second, before contracting it as explosively as you can. The activities are generally compiled together into bursts to formulate effective cardio circuits. They’re effective in this type of scenario, because these exercises can easily keep your heart rate up throughout the duration of the workout. Generally, these exercises are completed with your bodyweight or small loads. This makes them not only effective and reliable, but also it keeps the costs to the minimum. When it comes down to it, each individual is different and his or her desires will undoubtedly vary. Some people will want to enhance their performance, while others will want to burn calories, increase endurance or gain muscle strength. This is where Insanity Cardio Abs enters the picture. This unique, comprehensive plyometric cardio circuit workout plan is available of being utilized for various purposes. Below, you’ll learn about the enormous benefits associated with plyometric exercises. Athletes will always want to focus on enhancing their running speed. This is the case, because increased running speed typically equates to a more promising performance. Even if your plyometric exercise doesn’t require sprinting, it can still help you enhance your performance in one-way or another. It could help you throw objects further, kick harder or punch with more devastating velocity. Regardless of the specific aspect of your performance that you’re trying to enhance, plyometric training can help. A lot of people would love to have stronger, more capable muscles. If you fit into this category, you’ll definitely want to embrace plyometric exercises. These exercises are designed to push the muscles to their limits. When compared to other types of exercises, the plyometric types can deliver better results much faster. Therefore, engaging in this type of workout will help you obtain the muscle power and force you desire much more rapidly than you could ever imagine. One of the biggest benefits associated with gaining muscle is also burning calories. Bigger, strong muscles will require your body to burn more calories at a faster rate. This is where plyometric exercises and Shaun T’s Insanity Pure Cardio truly excels. Since this particular cardio circuit training will help you gain additional muscle mass, your body will burn additional calories, even when you’re sitting idle. At the same time, your body will burn far more calories, when you’re exercising. So, if you wish to shed that body fat, you’ll definitely want to follow Shaun’s advice and utilize his exercise routine. Cardio and endurance go hand in hand. This is why you’ll want to embrace cardio circuitry training, if you wish to enhance your endurance. Whether you plan on running a marathon or just want to be able to mow your grass, without grabbing your knees, you’ll want to enhance your endurance. There is truly no better way to do this than by utilizing the techniques and exercises provided by Shaun T. Plyometric training is capable of boosting your endurance, while also showing you precisely how to produce muscle force in a much more efficient manner. One of the most surprisingly things associated with the Insanity Pure Cardio program is the fact that it can be completed without any expensive equipment. In fact, it is possible to benefit enormously by following Shaun’s advice and utilizing his workout regimen. Not only will you improve your cardio and enhance your muscle mass, but also you’ll be able to achieve these goals without buying a treadmill or purchasing expensive weights and dumbbells. So, if you’re looking to shed the pounds and slim down, but refuse to spend excessively, you should look no further than Insanity! It is entirely possible to sit down and formulate your own plyometric cardio circuit plan. Sure, you could do it, but it would probably take you a significant amount of time and a great deal of energy. The mass majority of people simply do not have the time or energy to research and find reliable exercises. This is why it is best to check out the Insanity Base Kit. 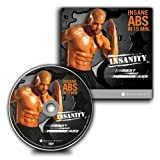 The Insanity Base Kit is a comprehensive plyometric cardio circuit-training program, which will deliver everything you need to workout, lose weight, and achieve your fitness goals. This specific kit will provide the user with 10 lengthy DVDs from the highly regarded personal training, Shaun T. In all likelihood, you’ve heard of Shaun or have seen him on television. This is truly no coincidence. Shaun has been around the fitness game for an extensive period of time and he is truly one of the leaders in the industry. Not only will the program provide you with instant access to Shaun T, but also it’ll give you access to free online support. The combination will help you remain motivated and will force you to achieve your original goals! A lot of people want to lose weight and get into shape, but very few ever will. Much of this has to do with the fact that a lot of people will never remain motivated enough to achieve what they set out to achieve. Motivation can be difficult to acquire, unless you’re working alongside someone or have managed to acquire small goals. The Insanity Kit is incredibly beneficial for those that need a kick in the rear. Once you’ve become a member of the Insanity customer base, you’ll gain immediate access to online support and tools. Not only will you gain support from your peers, but also you’ll be able to access fitness experts, during your time of need. The combination can be very helpful and will guarantee you’ll be able to obtain assistance and motivation, when you begin feeling like giving up. In order to achieve the goals you’ve set for yourself, you’ll always need to enhance your challenges. Once you’ve managed to meet one goal, you’ll need to set another one and up the intensity level. The Insanity Base Kit will help you do just that. Shaun T has formulated an incredibly innovative workout plan, which focuses on pushing you harder and harder. Of course, it doesn’t throw you into the frying pan right from the beginning. No! First, you’ll work your way up and Shaun will slowly increase the intensity to match your current skill level. This will help to ensure that you’ll be able to achieve your goals, without overdoing it and getting in over your head. There are various plyometric exercises that target the chest muscles. Of course, these exercises should be included in a full workout, targeting all of the muscle groups. You can do these exercises by utilizing a medicine ball, which is what most professional athletes choose to do. The single response chest push exercise is very easy to accomplish, plus it can be done in a gym or in the comfort of your own home. You should get down on your knees, maintaining your body balance with the front of your knees and tips of your toes. Start by grasping the medicine ball in your hands and throwing it up against a wall or to a partner. Push the medicine ball out, as far as you can, before releasing it. Once the ball is released, you should explode forward, landing on your hands. If you are a beginner, you should only start out by doing a repetition of only three of these exercises. Continue this workout, until you are ready to increase the repetition, but never overdo it, since this could potentially put you at risk of injury. While, many beginners can easily devise a plyometric exercise routine that is suitable for their needs, they struggle with the dietary plan. 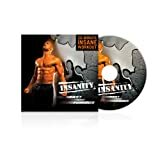 Well, with the Insanity workout DVD provides you with a specialized meal plan that will help you fuel your energy, build lean muscle mass, and lose excess body fat. It is important to remember that an exercise routine will not be as effective, if you are lacking in nutritional intake. Also, you will find it difficult to endure these intense workout programs, if you do not stick with this or another nutritional diet plan. No one knows more about bodybuilding than Shaun T, who is a very skilled professional trainer. The great benefit of utilizing Insanity to lose weight and tone your physique is it allows you start out at a very low level and gradually work your way up to a full, intense workout. This not only allows you to adjust to the workout schedule, but also decreases the risks of injuries, which could potentially set you back for several weeks, if not months. Start out with the Dig Deeper & Fit Test to see what you are made of and then work your way up to the Cardio Recovery & Max Recovery workout. Beware, this exercise program is not for the weak at heart, but instead designed for those that want to challenge their body with intense exercises. The Insanity calendar helps users track their progress, so they can see how well they are doing, while encouraging them to move forward. This calendar not only allows users to track their monthly progress, but it also helps them set realistic goals. This is definitely a great feature that will come in handy throughout the entire 60-day workout program. It is also a good idea to take pictures of your body before getting started, several times between, and at the completion of the program. While, many individuals know how to complete each exercise in their routine correctly, they are unaware that they are breathing improperly. It can be difficult to learn how to breathe correctly, plus it will take a bit of practice, but over time, it will become a normal part of your workout. If you fail to breathe correctly, while exercising, you will be putting yourself at risk of circulatory complications. All in all, there are numerous ways to get into shape, but following the Insanity Pure Cardio workout is definitely one of the best choices of all. Shaun T is a master of fitness and his Insanity Cardio Abs and other cardio circuit exercises will force you to your limits, while guaranteeing you achieve the impossible. If you truly desire to slim down, get into shape and look better than ever before, you’ll want to check out this plyometric cardio circuit training program sooner rather than later. Hi friends I am with my plyometric circuit result at the end of the month and I had lost up to 10 pounds of weight. At the same time I had lost my waist up to the 5 inches but initially I will not believe this workout. But once I started this workout then it is produced the instant result so I really thankful to this workout. Basically I am foodie so I eat more food but I continuously done this exercise for reducing my weight and it is also produce instant result. When I surfing in online then I got to know about the plyometric cardio circuit workout and it is getting positive feedback. I am planning to take this workout and it is also producing positive result so that I can reduce the weight instantly so I really thankful to this workout. I am looking for the best workout for reducing my weight and my friend suggesting plyometric cardio circuit. Now I am continuously doing this exercise and it is really helpful to reduce my weight up to 10 pounds. I am finishing up this workout s now I am reducing the nine pound weight. This workout is also helpful to reduce excess calories in lower abdomen and waist. I am not following any kind of dieting foods and it is not consisting of equipment so I can easily finish this workout. It is initially staring with the warm up workout so that I can easily follow workout. This workout is consisting of normal jogging, high knees and warm up exercise. This workout is really working for me and I had reduced the excess weight instantly.